The needs of a kitten are very complex in their first months as they grow so quickly. Once a kitten is off mother's milk they require select nutrients like vitamin A & E, calcium, protein and calories. This is why Whiskas Kitten food contains what it does, just the right balance of nutrients to allow your kitten to grow into a big, healthy cat. 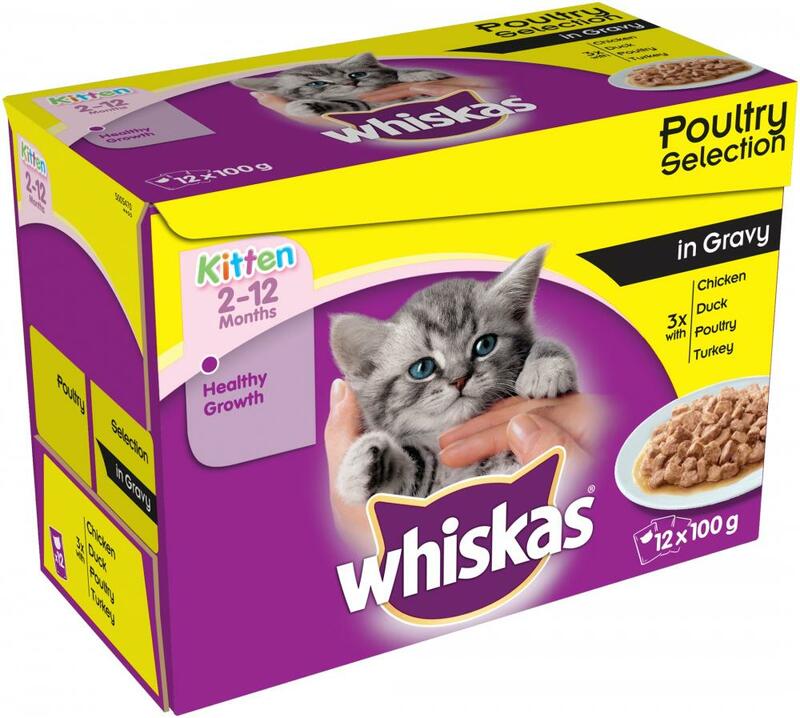 The selection of flavours available are sure to be a hit with your little kitty. What are my needs? : I've got a tiny stomach so I need to be fed little and often. What are my needs? : I'm growing so fast, I need all the energy I can get now. What are my needs? : I'm getting bigger but on the inside, I'm still only tiny. 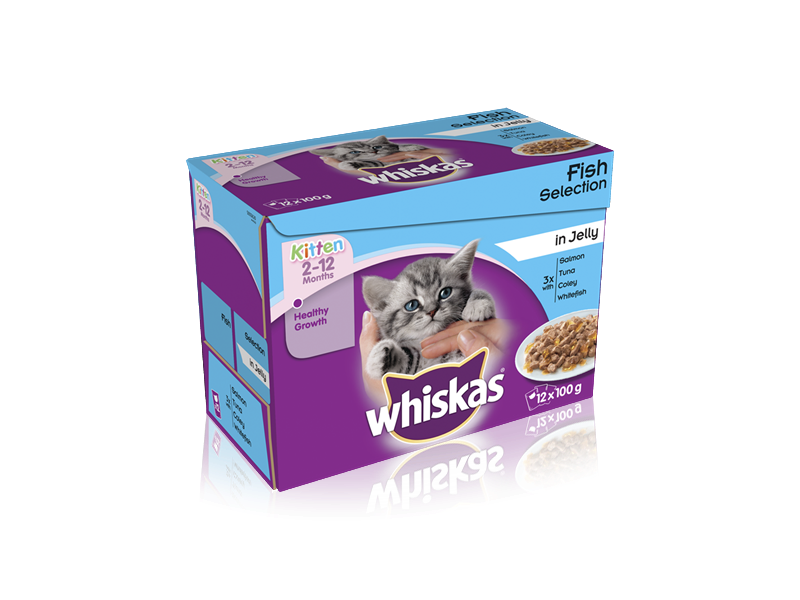 From 12 months onwards you can feed your cat adult food. Water should always be available. Serve at room temperature. Whiskas recommends that 2/3 of your cat’s daily calories come from wet food and 1/3 come from dry – don’t forget to treat your cat too! 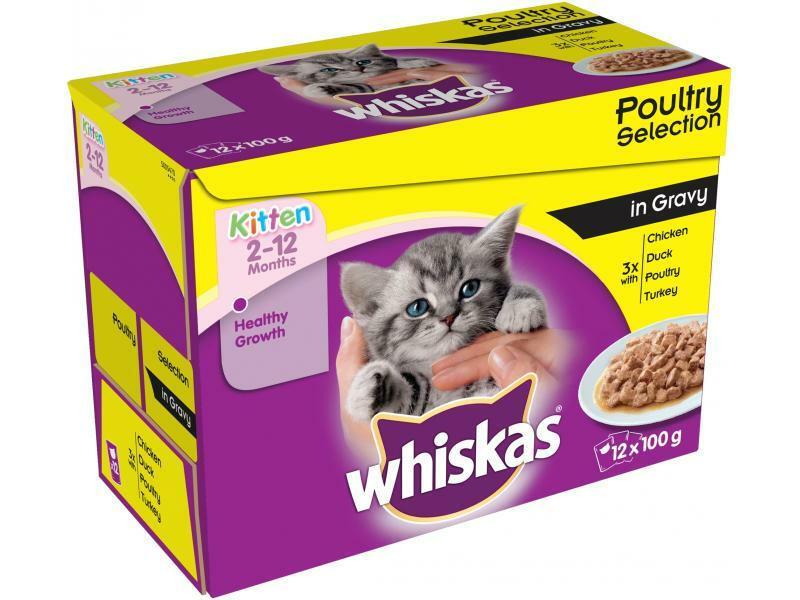 There are currently no questions for Whiskas Kitten Poultry Selection - be the first to ask one!